While not everyone may have learned to draw and paint realistically—drawing what they actually see rather than what they think they see—all of us have already learned to draw using symbols, for symbolic drawing is a stage children go through in their artistic development. In art, a symbol is something recognizable that stands for or represents something else—an idea or concept that would be hard to draw or paint, such as love or hope for eternal life. The symbol could be from nature, like a flower or the sun, or a man-made object; something from mythology; a color; or it could even be something made up by the individual artist. Symbols in Art, from the Smithsonian Institution, has a useful, interactive learning experience about symbols. All children go through well-documented stages of development in terms of drawing skills, one of which includes symbolic drawing, using a symbol to represent something else. This occurs at about 3 years of age, following the "scribbling stage" from about age 12 to 18 months. "An important point is reached when the child converts the linear scribble into an enclosed shape. The enclosed shape seems to be the focus of the child's first attempt to make a realistic drawing. That first realistic drawing is frequently a primitive person. When lines are used as boundaries of objects we see a typical tadpole person, so named because it resembles a tadpole. One large circular shape with two lines extending as legs float on a page represents every man….Tadpole guy simply seems to be a symbolic, rather easy, and convenient way to convey the idea of a person." Dr. Crosser goes on to say that "three- and four-year-olds develop other generic symbols for the repeated drawings of common objects like sun, dog, and house." At about age 8 to 10 children find that their symbols are limiting and try to draw more realistically, to capture how things actually look to them, but even as some progress to this stage of drawing, the ability to express ourselves through the use of symbols remains an innate human skill. 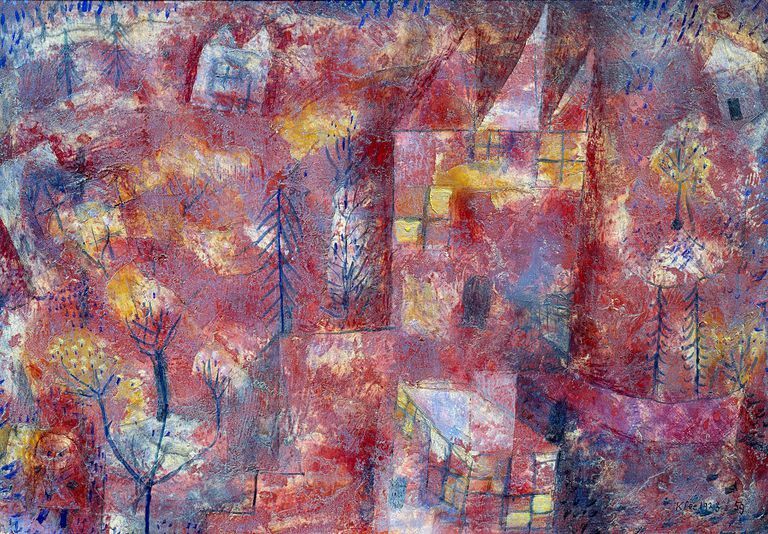 Paul Klee (1879—1940) was a Swiss painter and etcher who used symbols extensively in his artwork, working from dreams, his intellect, and his imagination. He was one of the greatest artists of the twentieth century and his work greatly influenced later Surrealist and abstract artists. A trip to Tunisia in 1914 sealed his affinity for color and set him on the path to abstraction. He used color and symbols such as simple stick figures, moon faces, fish, eyes, and arrows to express poetic realities other than the material world. Klee had his own personal visual language and his paintings are filled with symbols and primitive drawings that express his inner psyche. He is quoted as saying, "Art does not reproduce what we see; rather it makes us see." 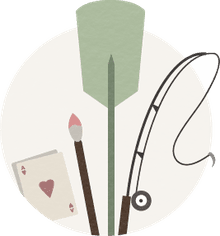 Symbolism can in fact be a way to extract the inner workings of the psyche and discover more about yourself, and in so doing, to help you develop as an artist. You might want to try the project Using Symbols in Your Painting to help you develop your own symbols and paintings based on those symbols. Also read How to Understand a Painting: Decoding Symbols in Art, by Françoise Barbe-Gall, to see how ten symbols from the natural world and ten symbols from the man-made world have been used in art from the fifteenth century through the twenty-first century. With beautiful illustrations from art history, Barbe-Gall discusses such symbols as the sun and the moon, the shell, the cat and dog, the ladder, the book, the mirror.